Please include your physical street address and Driver’s license number on the Application. 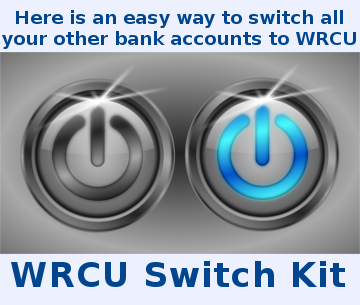 Both the Applicant and Co-Applicant may be joint on one account (minimum balance $10.00) or have their own individual account at WRCU (minimum balance $5.00). Completed AUTO LOAN FACT SHEET, or dealer invoice showing the same information, for all Motor Vehicle and Recreational Vehicle loans. Full coverage insurance, listing White River Credit Union as lien holder, is required prior to the disbursal of the loan. This includes all vehicle, snowmobile, ATV, Camper, Motorcycle, Boat, (etc.) loans with a balance equal to or over $10,000.01. 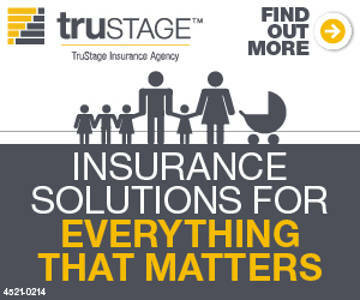 A copy of the insurance binder must be received by the credit union before funds are disbursed. “Salvage” or “Rebuilt” vehicles do not qualify for Vehicle rates. If the credit union receives a title for a vehicle stated as “Salvage” or “Rebuilt” after the loan has been disbursed, the loan will be rewritten at the rate for a Salvage or Rebuilt Vehicle as noted on the Addendum. If a title is not available for the collateral securing a loan, WRCU may be required to file a UCC statement. The appropriate fee will be collected from the Borrower to cover the UCC filing fee. If a title is received without WRCU listed as lien holder, the appropriate fee will be collected from the Borrower to cover the filing fee for WRCU to add this information to the title. All collateral loans must be titled in an individual(s) name; the collateral used to secure a credit union loan cannot be titled in a business entity name. If the title is received in a business name, the Borrower will be required to retitle it in an individual(s)’ name that has signed the loan voucher. For new vehicles (defined as a current calendar year model with less than 10,000 miles), the loan-to-value (LTV) ratio is computed on the lesser of the MSRP or the NADA guide clean retail value of the subject property. For vehicles with a current calendar year model with more than 10,000 miles or with a model year of 2011 or newer, the LTV ratio is computed on the NADA guide clean retail value of the subject property. For vehicles with a model year of older than 2011, the LTV ratio is computed on the NADA guide clean trade-in value of the subject property. WRCU considers vehicles older than 25 years to be “classic vehicles” and classifies these to receive the “Other Collateral” rate. The loan term is dependent on the reasonable life expectancy of the collateral at the time of loan. Unsecured Loans. The minimum monthly payment for unsecured loans with a term of over 12 months is $100.00 or 3.00% of the original principal amount of the loan (rounded up to the nearest dollar), whichever is greater.